More than one million fans have applied for tickets to see Led Zeppelin reunite on stage for the first time since 1988. Just 20,000 tickets are available for November's show at London's O2 arena, which is being held as a tribute to Atlantic Records founder Ahmet Ertegun. Tickets are being issued by ballot for the show, which also features Pete Townshend, Bill Wyman and Paolo Nutini. Promoter Harvey Goldsmith said he was "overwhelmed" by the demand. Fans who have tickets will be told by 1 October. Entries to the ballot have now closed. Winners will have to pay £125, plus booking fees, per ticket. Mr Goldsmith added: "This response is amazing. We would like to thank all the fans for their support and we hope that all those fortunate to be successful will keep the tickets out of the hands of touts." Led Zeppelin's last full concert was in Berlin in July 1980 - two months before drummer John Bonham died. 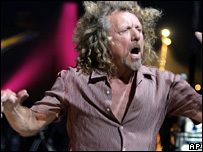 Singer Robert Plant, guitarist Jimmy Page and bassist John Paul Jones have not played together since a concert to celebrate the 40th anniversary of Atlantic Records in 1988. But a rift between Jones and the other two band members opened after Page and Plant started working together without him in the 1990s. The band are due to play a full set at the concert, on 26 November. 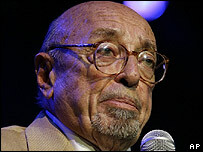 Proceeds from the show will go to an education fund set up in Mr Ertegun's memory. Among the projects the fund is backing is a music scholarship at south London's Ravensbourne College, which is to move to a building adjacent to the O2 arena in Greenwich.